The Association of Organisations of Mediterranean Businesswomen (AFAEMME) is a federation of businesswomen associations which was launched in 2002 in Barcelona (Spain). AFAEMME currently comprises 51 women entrepreneur organisations from 24 Mediterranean countries. AFAEMME is a coordinator of European and Mediterranean business and gender projects and ground-breaking research, a networking platform for businesswomen and women entrepreneurs from all over the Mediterranean and a Euro-Mediterranean lobby for strengthening gender equality and facilitating the access of women to decision-making positions in the economy. 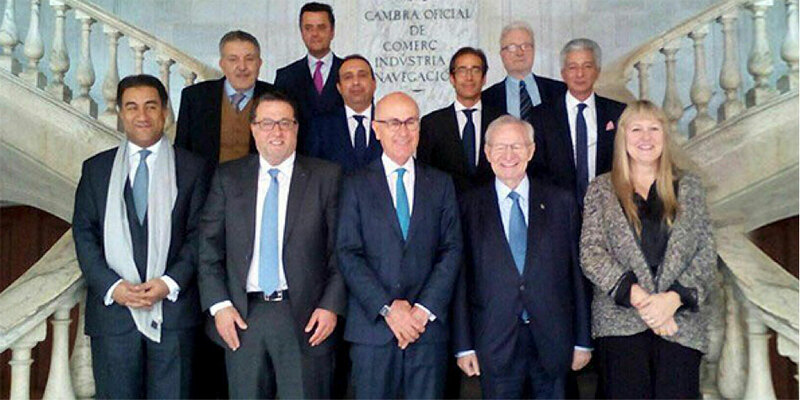 THE MEDITERRANEAN WEEK OF ECONOMIC LEADERS has created an advice council in Barcelona, presided over by MR. JOSEP ANTONI DURAN, leader of the Union and President of the Standing Committee of Foreign Affairs of Congress. Maria Helena de Felipe Lehtonen, member of the Economic Mediterranean Leaders, participates in this council as president of AFAEMME. Some other partners in the council are, the Vice-President of Coca Cola Iberian Partners, Mario Rotllant; CEO of Mat Holding, Paul Story; IEMed President, Senén Florensa; President of Union for the Mediterranean (UPM), Fathallah Sijilmassi, Honor Vice-President of the European Investment Bank, Philippe de Fontaine Vive, President of the Chamber of Commerce and Grupo Benamor Algeria, Mohamed-Laid Benamor, and President of the General Confederation of Moroccan Businesses, Mire-Chaqroun Bensalah. Also present is a representative of the International Association of Hotels and Restaurants, Ghassan Aidi, and President of the Mediterranean Network of Banks (MBN), Marika Huber. GENERAL SECRETARY OF AFAEMME, BEATRIZ FERNÁNDEZ-TUBAU, PARTICIPATES IN THE DEBATE "CONVERSES BANC DE SABADELL"
Beatriz Fernández-Tubau, General Secretary of AFAEMME, participated in a television program debate that was broadcast on February 25th on "El punt avui televisió" at 22 pm. The topic discussed was “leading in women" through the empowerment of women in positions of financial responsibility, a topic which is increasingly visible in the economic world. Challenges with transferring legal equality to today’s society persist, and addressing them requires many tools. AFAEMME, represented by Beatríz Fernández-Tobau, General Secretary of AFAEMME and mediator in the Cooperation Council, attended the session "Association and Cooperation Gives Value" last January 30th in "Fem.talent," an innovative Catalan platform that promotes equality of opportunities and the activation of female talent in science, technology, entrepreneurship and innovation. The professional and personal development program was carried out by recognized leaders who gave dynamic, practical and interactive sessions. 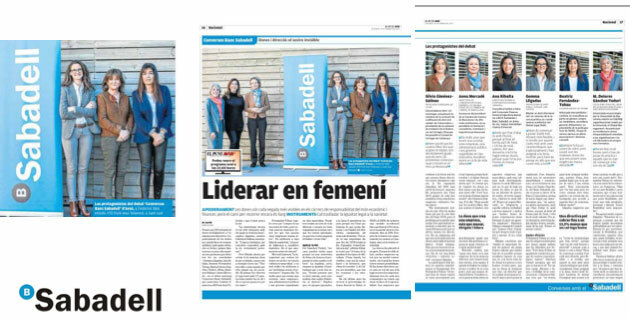 The Foment del Treball and the IESE Business School collaborated to provide techniques and tools to women working in the field of business, with the aim of eliminating the possible barriers that prevent them from progressing according to their merits and exercising greater leadership with serenity, success and satisfaction. Foment and IESE designed an extensive program of professional and personal development through trainers of recognized prestige and the sessions allowed participants to acquire competences through a learning process that integrated knowledge, skills and attitudes. Three training sessions, on April 6, April 20 and May 4, were held by recognized experts: Nuria Chinchilla, Natalia Caycedo, Beatriz Fernández -Tubau, Inmaculada Tena and Lillian Cabal. AFAEMME has participated on the 25th of January at the discussion of “Catalan society and the promotion of women in the Mediterranean,” where Catalonian associations and foundations worked to strengthen the role of women here and in the Mediterranean countries through discussion of their various activities and projects. 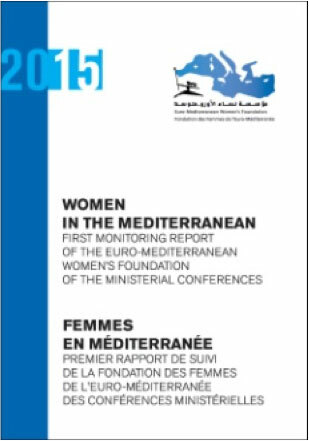 It was organized by IEMED and centered around the information in the FIRST MONITORING REPORT OF THE EURO-MEDITERRANEAN WOMEN’S FOUNDATION OF THE MINISTERIAL CONFERENCES, of which AFAEMME is a co-author. AFAEMME, as part of the partner consortium of the "Bringing Science and Business, Research Support, Technological Development and Innovation,” brought together Jordan's innovation ecosystem - researchers, entrepreneurs, innovators and decision makers – in order to showcase Jordanian excellence in research and innovation. SRTDII’s success stories have addressed the best ways to connect science and business. 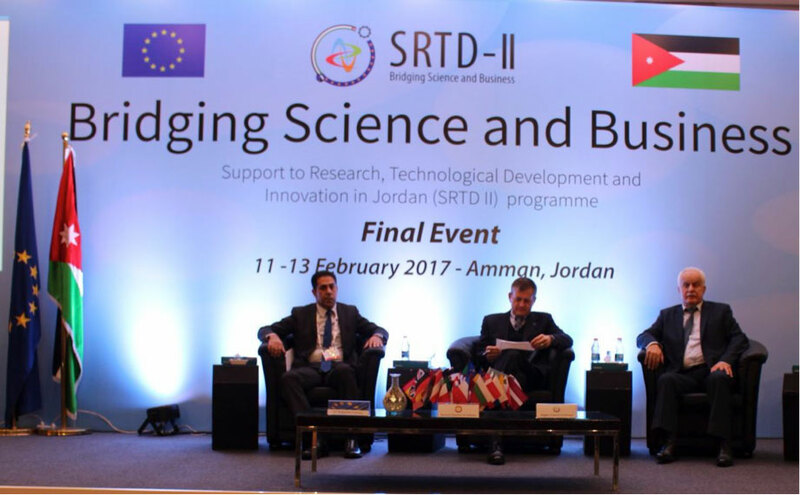 The event also helped position Jordan as an interesting research and innovation partner for Europe in future opportunities within Horizon 2020 and other European Union programs. Ms. Sammut Bonnici has served on the MEA council for a number of years, and previous to being appointed President was also Deputy President of the MEA for the past four years. 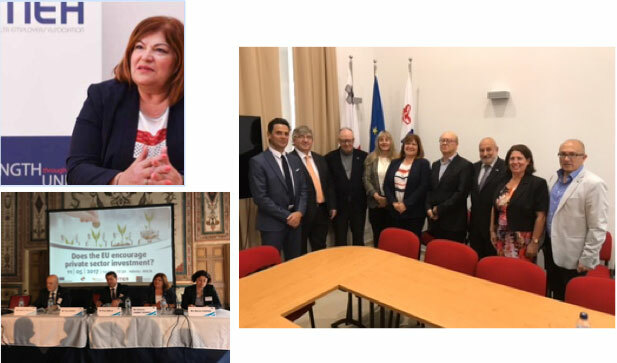 Ms. Sammut Bonnici is the outgoing President of Malta Association of Women in Business, whose mission is the promotion of female entrepreneurship, enhancement of Business education, and providing mentoring and business networking for women. As President of MAWB she has actively participated in AFAEMME activities during the last eight years and has participated in the MEDA WOMEN ENTREPRENEURS FORUM. Elisabeth Trallero, the International Relations of AFAEMME, attended the “GLOBAL SUMMIT OF WOMEN 2017" in Tokyo on May 11-13th. 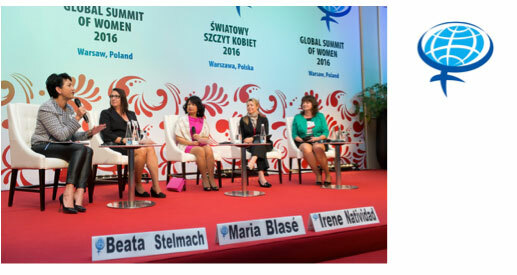 The main topic of the 2017 Summit — “Beyond Women Economics: Accelerating Access” — showcased different initiatives developed to speed up women’s access to corporate leadership roles and grow women-owned enterprises worldwide. In addition, the 2017 Summit informed delegates on how to access the Japanese and Asia-Pacific market and provided skills-building sessions, establishing networks among the many leaders present. In accordance with the Personal Data Protection Act, we must inform you that the data requested on this form will be included in an automated file and used to arrange the service requested and/or to offer you information on activities and services of Afaemme. If you wish to unsubscribe to this list please send an e-mail to afaemme@afaemme.org.